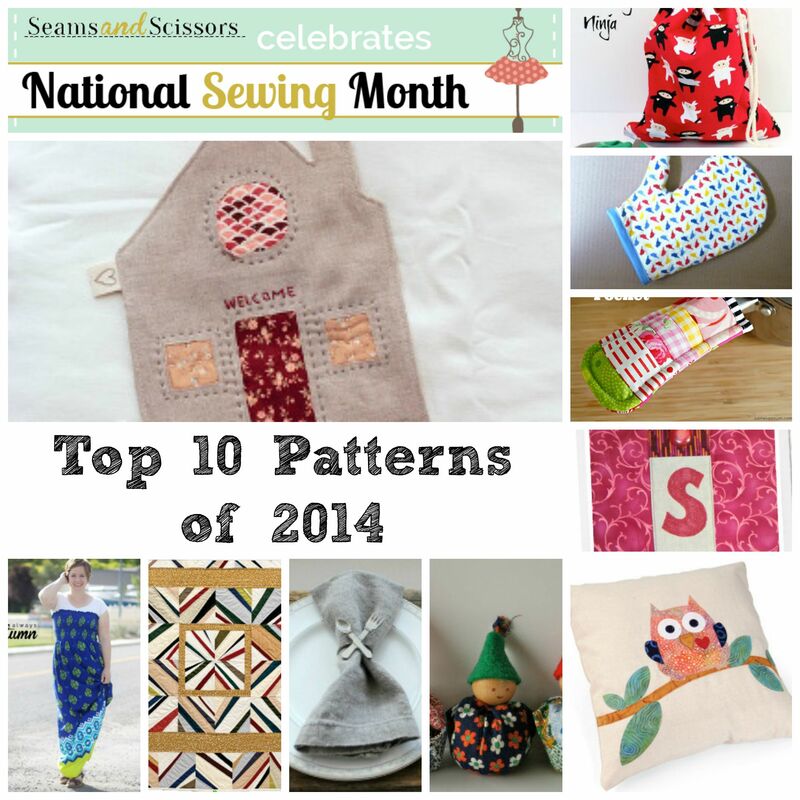 2015 marks the 2nd year we have celebrated National Sewing Month here on SeamsandScissors. Last year we had so much fun pulling together all the projects and prizes, and watching the excitement of our readers. Of course, this year we hope that you will have just as much fun learning some great new techniques and trying to win one of our fabulous daily prizes. 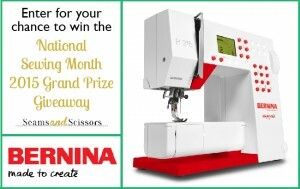 Don’t forget that there is a chance to win that amazing BERNINA sewing machine and you get to enter daily! We thought that you would like to see the most popular free sewing tutorials from National Sewing Month 2014. These patterns are all wonderful and we see why you loved them so much. Some are great last minute gift ideas, others are challenging projects that will take you some time to complete – but they are all fun, nonetheless. Cozy Little Cottage Mug Rug – A great teacher or hostess gift to make in an evening. Laundry Ninja Bag – A quick and easy afternoon sewing project, perfect for the kids’ room. Maybe they’ll help with the laundry now! Scrappy Christmas Elves – You won’t believe how quick these are to make, but you’ll soon see why our readers love this free tutorial so much. Pretty Bird Oven Mitt Pattern – Useful and adorable. Whoo’s Looking At Me Pillow From Sizzix – Sizzix shows us how easy this sweet pillow is to work up. Just for You Monogram Tablet Keeper BERNINA – BERNINA knows we like to keep our tablets tucked away safe, so why not make it cute? Free Spirit DIY Maxi Dress – The maxi dress should be an essential part of every woman’s wardrobe. Double Trouble Linen Napkins – The name suggests trouble, but these linen napkins couldn’t be easier. Gwens Liberated String Medallion From American Quilters Society – Not for the most beginning quilter, but this this is a FUN quilting pattern! Scraptacular Pot Holder Pocket – Scraps make this the perfect project, and you can make a few in an evening! Perfect stocking stuffers. What type of pattern or tutorial are you hoping we’ll feature this year? I love all patterns!! Any inspiration is wonderful. Bags, bags, and more bags! I would like to see patterns for Halloween costumes for pets. 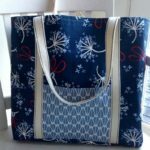 I would like to see tutorials on making tote bags. I would love to see tutorials and patterns for overnight bags. I am so ready to get started on Christmas. I am just waiting for inspiration. I would love to patterns or projects centred around different body shapes,hour glass,pear and so on. Then maybe patterns/ projects that go together as outfits. I’d love some more information on sewing a feathered star quilt. I love all types of sewing for clothes to quilts. I would like to see a pattern for a simple slip on blouse with a key-hole neck in front. Placemats, casserole carriers, cute kitchen things for gifts. Holiday patterns, any and all holiday items! From gifts to home decor! 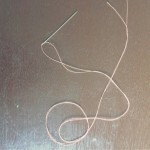 I would love to see a scrappy thread catcher to hang near my sewing machine. I’ve seen them before, but not a tutorial! Let’s get one going! Totes and purses! Oh, and maybe some 18″ doll clothes. Baby items! Being a new grandma I’m so excited to sew for my grandson. Learning to quilt. I love doing crafts making my fall things now. I love all types of patterns especially home dec and bags and totes. Please remove my name from all your adds and your e mall lists. Thank you very much in advance, it’s only taking up my time and space. I love all patterns, but would love to see easy to make seasonal table runners. I love all different patterns, but would like to see easy to make seasonal table runners. Tip: Learn the right type of fabric to use for your projects.